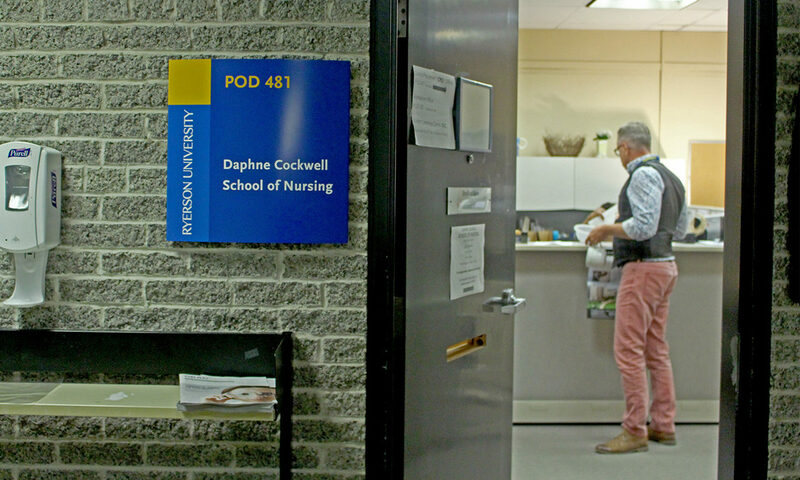 Ryerson’s Daphne Cockwell School of Nursing is using tech to teach by offering nursing students a safe, virtual environment to practise in. Students in the Bachelor of Science in nursing program are benefiting from virtual simulation games that help prepare them for both maternal care and mental health situations. The games replicate real-life scenarios with actors. “It provides the opportunity for students to practise in a safe environment,” said Daria Romaniuk, associate professor in Ryerson’s nursing program. Many students naturally feel fear when first entering clinical study as there are risks of potentially hurting someone, explains Romaniuk. The virtual environment allows students to practise their skills, and potentially make mistakes without fearing real-life consequences. “That opens them up to learning that much more, because it takes away that anxiety of potential risk,” said Romaniuk. Each game consists of video clips of real actors, shot from the first-person point of view of the nurse. While playing, students take on the role of the nurse and are prompted with a series of questions and decisions — depending on their choice in the game, the actors react either positively or negatively. Students then have the opportunity to watch the scenario play out based on their choice, and receive feedback on each choice before moving forward, which helps them learn for the future. “The game acts as a reminder to teach you what to say, and to be careful of what you say. It shows how one phrase can totally change the scenario in terms of how the patient reacts,” said Edana Agnew, a second-year nursing student at Ryerson. 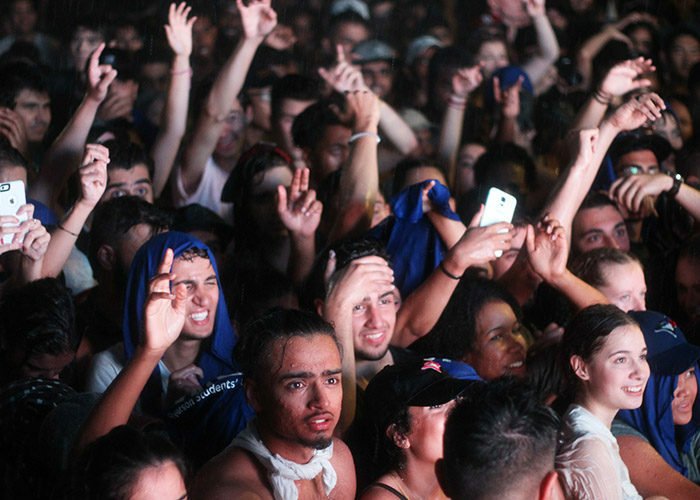 “It gives us a better perspective of how to handle situations in the future,” said Agnew. Gamification is not meant to replace existing teaching methods such as textbooks and labs, but rather complement them and offer students even more opportunities at simulations. The first game was introduced in 2016 and focused on mental health, specifically a domestic violence situation. However, three more games were created in March 2017 and focus on maternal health. In one of the new games, students are able to practise taking a fetal heart rate — an experience many students would not have otherwise. “Students have to decide where the stethoscope goes, and they also get the opportunity to count the fetal heart rate,” said Jennifer Lapum, a professor at Ryerson’s nursing school. “We don’t have pregnant women coming into our lab so there are certain things that they can’t normally practise. This gives the students a great opportunity to practise their skills,” said Lapum. The concept of virtual reality is commonly associated with video game systems and gamers, however the use of VR technology in educational settings is proving to be extremely beneficial. “We get a sense from our earlier research that the learning that occurs in the virtual gaming simulation will stay with them longer because it was interactive and an immersive experience,” said Lapum. Ryerson has been conducting research on the impact of gaming systems in an educational setting. The research shows the simulation games have led to a cognitive and an effective experience. “The simulated clinical experience allows students to engage in the scenario both emotionally and cognitively as if it were a real situation with clients,” said Lapum. According to Romaniuk, the games also help students self-efficacy. “Their feelings of being able to handle the kinds of situations they’re faced with do improve, when comparing before and after playing the game. It gives them more confidence in their abilities,” said Romaniuk. So far, the results and research have proven to be positive for students and staff alike. However, not much is known on the potential adverse effects of virtual reality technology. “We recognize that future research is needed on the impact of virtual gaming simulations in terms of learner retention, content, as well as clinical preparedness,” said Lapum. The virtual simulation games were a collaborative effort between Ryerson, Centennial College and George Brown College. The funding for the creation of the games came from a grant from eCampus Ontario. While the games were originally created for university use, their purpose and accessibility extend far past the classroom. Once the games are created, they are available online, free of charge for anyone to use. “We have heard from at least one hospital that is using the games as a continuing education component for their staff nurses,” said Romaniuk. The virtual simulations have the potential to be a useful tool not only for students, but for staff nurses as well who may be entering a new area, or who want to refine their skills.